Advantage of TJK|Tokyo Juki Co., Ltd. 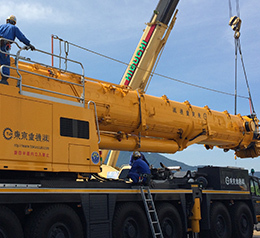 Founded in 1963, Tokyo Juki specializes in leasing mobile cranes and other high-performance construction machinery with the highest standards of safety, reliability and durability. We offer a comprehensive range of machinery and equipment from Tokyo Juki branded compact models right through to the largest machines available. Our extensive network of offices is ready to dispatch highly skilled and safety trained personnel to assist you on site. We are constantly monitoring developments in the global economy and construction industry to ensure that our extensive fleet of mobile cranes meets the latest and most stringent quality and performance standards. We have eight offices throughout Japan with friendly staff ready to assist you with your inquiry. 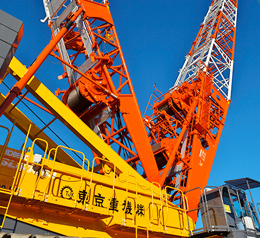 Tokyo Juki also supplies construction machinery to overseas projects in conjunction with our global partners. 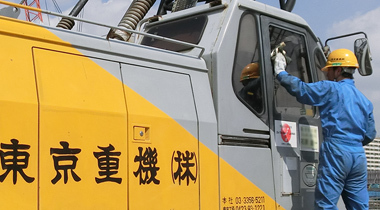 With multiple offices and an extensive range of machinery, Tokyo Juki is in a unique position to provide operators with a variety of different training experiences on different worksites. Training programs at Tokyo Juki have a strong safety focus to ensure that all operators meet the expectations of our clients.